Click a location above to visit the store's website. Since our beginnings in 2010, our clean, fresh, spacious stores have always been filled with great, reasonably priced merchandise. 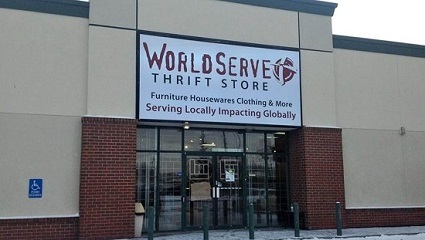 WorldServe Thrift stores work alongside our neighbours and community partners to have a positive impact locally while also supporting international partners who work in their own countries to bring hope and help to their communities. Household items folks here in Canada don’t need anymore can become the key someone’s future in a country where we serve. 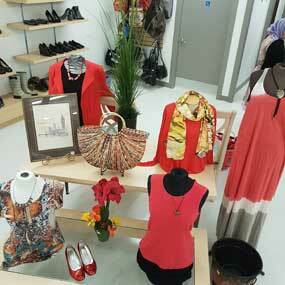 It starts with donated items that provide affordable purchases for people locally. These sales, in turn, create life-changing opportunities for people globally. That’s because the net revenue from the stores helps to support WorldServe Ministries’ mission-driven outreach endeavours in China, Cuba, Ethiopia, and Myanmar. So, your donated furniture becomes a bright future for people in Cuba who can now start micro businesses. Serviceable housewares become hope for children in Ethiopia and Myanmar who receive education on their journey out of poverty. Gently used clothing becomes a camping ministry for migrant children in China. Bibles for believers, support for churches, relief for victims of natural disasters—they’re all part of what WorldServe does and why WorldServe Thrift exists. Come donate, shop, even volunteer with us, and make a world of difference!